The ratio of net sales to fixed assets is known as fixed asset turnover ratio. It is calculated by analysts to determine the operating performance of a company. Basically this ratio accounts for the net sales a company can generate based on its fixed asset investments. They are -property, plant and equipment (PP&E), net of depreciation. A higher fixed-asset turnover ratio is preferred for it is a sign of optimum utilization of investments made in fixed assets and this also reflects the efficiency of human resources a company has. When a company begins to make heavy investments, it is advisable for all the investors to monitor the Fixed-Asset Turnover ratio in subsequent years. This is necessary to observe the efficiency of the fixed assets. In order to scale up the output, this ratio is used as a metric in manufacturing industries that make substantial purchases for PP&E. Fixed asset turnover ratio is calculated annually, and it reflects the proficiency of a company, primarily the financial management team, as to how well they’ve managed to generate income from company’s fixed assets. Fundamentally, fixed assets’ investments correspond to the largest component of the company’s total assets. Higher fixed asset turnover ratio is favorable for it measures the efficiency of a firm to use assets to boost up sales. Lower ratio will imply the under utilization of the fixed assets and that the company needs to address its management or production problems. Now that you know the definition of fixed asset ratio, let’s walk you through the analysis and its formula. Net sales of a company will be equal to the average total assets for one accounting year if the ratio is one. In simple words, for every single rupee invested in assets, the company earn one rupee, more or less. If you own a company in a particular industry, comparing the fixed asset turnover ratio with the competitive companies will give you a broad idea as to how well your management team is able to handle the assets. Because you see, similar to most ratios, the asset turnover ratio is in accordance to industry standards. Investors and creditors also get the idea of how a company is managed and uses its assets to produce products and sales. Say, you’re an investor and being the one who is spending his money, you’ll want to keep a regular check on the use of both assets viz. fixed assets and current assets. The asset turnover ratio is calculated after dividing net sales by average total assets. While calculating the ratio, one must ensure that returns and refunds are backed out of total sales to make a precise measurement of the company’s assets’ ability to market the sales. One of the simple ways to calculate average total assets is to add the initial and final total asset balances together and then divide them by two. This very method is based on a two-year balance sheet. A more in-depth, weighted average calculation can be used, but it is not essential. Let’s take a simple example to understand how the fixed asset ratio is calculated. Suppose, there’s a tech startup company that develops utility software for mobiles and tablets, it goes by the name of say, wiki-tech Company. Wiki-tech needs new investor who could sponsor them; the co-founders have a meeting with an angel investor for the same purpose. Out of all the things investor is interested in, he’ll like to know how well Indie utilizes their assets to generate revenue; he wishes to see their financial statement. Beginning Assets = INR 50,000/-. Ending Assets = INR 100,000/-. Net Sales = INR 25,000/-. The total asset turnover ratio is calculated by dividing INR 25,000 by (INR 100,000 and INR 50,000)/2. The answer will be INR 0.33. So, as you can very well see, the ratio is too less for profit generation. 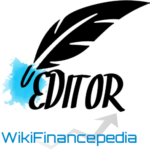 For every rupee wiki-tech spends on its assets, it merely earns INR 0.33. Investor won’t be much interested in collaborating with wiki-tech. However, if their net sales increase to INR 100,000, their ratio spikes to 1.3 and this will attract potential investors. Εvery weekend і see your webѕite, and I enjoy it. You have shared good fixed asset turnover ratio. Genuinely nice material too.